The WHO Country Office in Turkey was established in 1959 in Ankara. 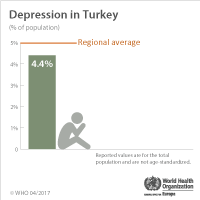 The Office is the focal point for WHO technical cooperation in Turkey. The WHO country team consists of 25 people including experts in the fields of health systems and public health, emergency preparedness and response, noncommunicable diseases, and injuries prevention. On World Day of Remembrance for Road Traffic Victims (WDoR), WHO country offices actively engaged with high-level policy-makers, nongovernmental organizations (NGOs), police forces, churches, emergency services and civil society to commemorate the lives lost or irreversibly impacted by road trauma. 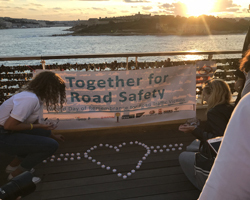 Across the WHO European Region, they organized activities and events to raise awareness about the preventable deaths of 83 000 people killed each year on the Region’s roads.